Waiting on Wednesday is a meme created by Breaking The Spine to highlight upcoming books that readers are dying to get their hands on! And just like last weeks WOW, this book I'm waiting on is serious. 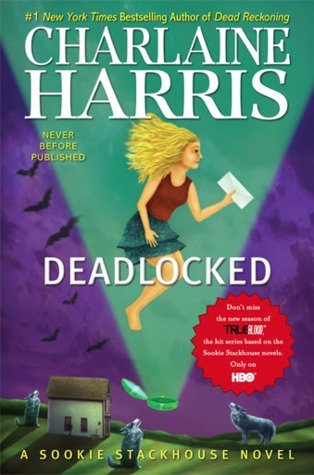 Sookie gets kidnapped and a character (a man) that Charlaine thought was dead, isn't. Are you kidding me?? That little teaser is enough to drive me crazy with curiosity! I've been reading the Sookie Stackhouse novels for a few years now and I love them. Sometimes I can be turned off from a series that has a lot of books like this one (this is the 12th book) but for some reason, I can't get enough; I never want them to end. Okay, it's not just for some reason, it's lots of reasons! Abundance of vampires, werewolves and every other kind of supernatural; tons of Eric - which if you read yesterday's review, you'd know I'm Team Eric; and action action action! These books are non-stop, never a dull moment, amazing! I can't wait! !